Health and Safety - On-Track Railway Operations Ltd.
On-Track Railway is committed to achieving and sustaining health and safety excellence, as it is a critical component that governs every aspect of our operation. 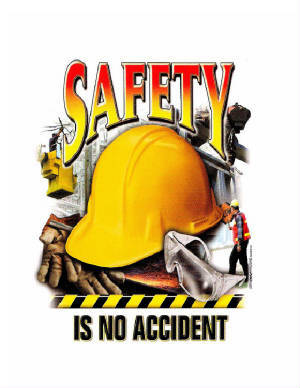 We focus on achieving a safety culture that promotes an incident, illness, & injury free workplace. On–Track Railway strictly enforces and abides by Canadian Railway Operating Rules (CROR), Industrial Railway Operating Rules (IROR), & the Occupational Health and Safety Act, Regulations, and Code. Our commitment allows us the opportunity to train, develop and grow our personnel, through mentorship of experienced employees or outside parties such as Alberta Construction Safety Association. This opportunity gives On-Track the ability to push our safety culture to the highest of standards. Whether we are working in our yard, shop or on main line track, On-Track will continue to strive to improve the safety aspect of all work being done. This in return will provide quality and efficient work for ourselves and our customers. As part of our commitment to these standards we are proud to have obtained our Certificate of Recognition. This certificate shows a proven commitment to outstanding safety initiatives through the implementation of safe work practices/procedures, training programs, preventative maintenance, hazard control, and hazard management. We have created an effective and dynamic safety management system through monthly building inspections, weekly safety meetings, daily tool box talks, hazard assessments/risk analysis, continual training for our employees, and thorough incident investigations. We have integrated both applicable OH&S Legislation and industry best practices to create a strong safety foundation within our company. With continual hazard assessment and risk analysis we are able to bring any safety issues to the forefront and have them dealt with effectively and efficiently. Safety objectives are executed via an action plan that comprises of specific, measurable, achievable, realistic, and time bound goals. Our COR will be renewed annually to ensure we are surpassing safety standards. On-Track Railway cooperates as a unified team to ensure that the health and safety of its employees and the environment take precedence over all other operations within the company. We continually provide mentorship and training to all of our staff to encourage the development and growth of our safety culture and safety awareness. Every individual who is a part of the On-Track Railway team is responsible for their due diligence in creating and ensuring a safe work environment. In addition to the active involvement of all of our employees we employ only the most qualified, properly trained, and experienced staff to help better reach and maintain our safety goals. From our management team to our field staff, safety is recognized as the number one priority and treated as such. Here at On-Track we have an open environment that encourages safety communication; this has allowed us to pinpoint areas of success, as well as areas that need improvement. On-Track Railway demonstrates a proactive approach in all health and safety avenues, which has resulted in the prevention of incidents before they occur. We take every measure to guarantee a strong safety culture, as we believe it is the engine that drives success within our company. At On-Track we have cultivated a positive company wide attitude that safety is of the utmost importance and provide incentives for reaching safety goals. As a result of our dedication to health and safety, we have achieved one year incident free and will continue to strive for this level of success. On-Track Railway takes tremendous care in minimizing and eliminating its environmental impact. To ensure this we have adopted the Environmental & Waste Management Policy, which outlines strict practices and procedures that are to be implemented. 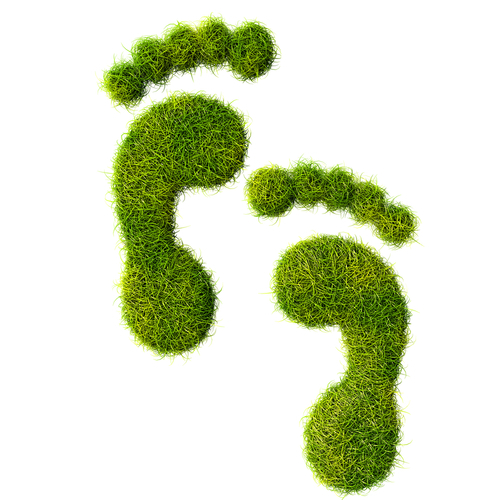 As part of our Environmental Policy we have all workers trained in WHMIS and ensure all products and contaminated materials are labelled, used, and disposed of correctly. We implement strict Lock-Out/Tag-Out Procedures to eliminate any risk of potential leaks, in addition to this, every unit owned and operated by On-Track Railway contains a spill kit. All vehicles and machinery are inspected regularly as part of our proactive approach to environmental safety. All employees are trained on emergency procedures in the unlikely event that a spill does occur and all storage containers are leak proof. It is prohibited to have vehicles and machinery left idling for extended periods of time and engines must always be turned off when not in use. On-Track Railway understands and takes seriously the ever increasing need to preserve our environment and ensure this a top priority in every facet of our operations. On-Track has committed to provide a Corporate Health and Safety program, as well as an Emergency Response Plan (ERP) and Safety Management System (SMS). These initiatives are continually being updated and reviewed to ensure the safest possible work environment for our greatest resource – our employees.